Lev HaOlam sends thousands of packages to citizens in over 43 countries with finest products from Judea and Samaria. The Lev HaOlam Organization send thousands of packages this week to citizens in over 43 countries around the world, containing products from local businesses in Judea and Samaria such as wine from Gush Etzion, tehina from Mishor Adumim, tomatoes from Havat Tekoa, dates, natural tooth paste, and more. As part of its fight against BDS groups, Lev HaOlam sends such packages every month. In addition, Lev HaOlam organizes tours of Judea and Samaria for groups of visitors from abroad, sends speakers to give lectures abroad, and organizes rallies in support of Israel. 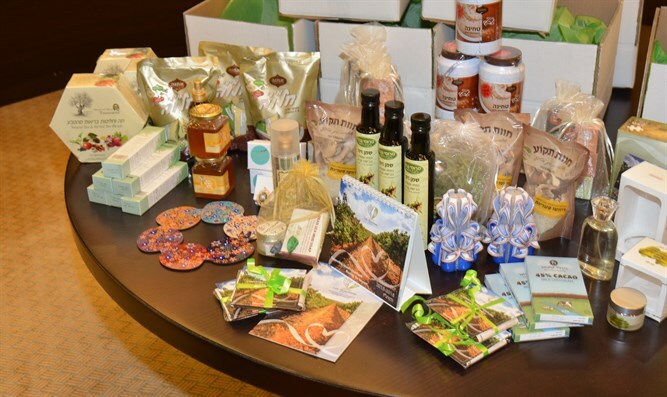 Lev HaOlam Organization founder Attorney Nati Rom said, “We're pleased to once again be sending some of the finest products from Judea and Samaria to citizens around the world who want to support the economy of Judea and Samaria.